"St. John (detail of The Four Evangelists)"
Benozzo Gozzoli. St. John. The Four Evangelists. 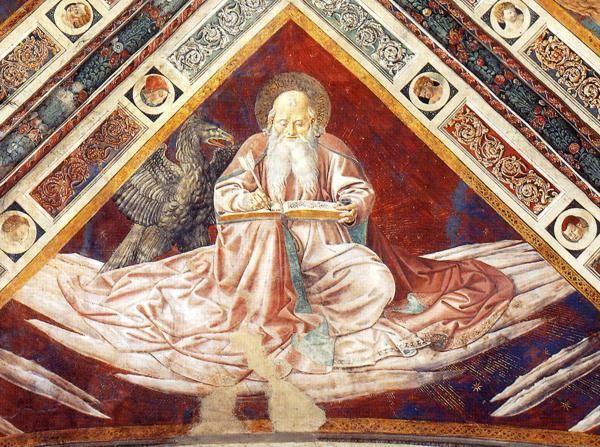 BENOZZO GOZZOLI (1421 - 1497) - St. John. The Four Evangelists. 1464-65. Fresco. Vault of Apsidal Chapel of Sant' Agostino, San Gimignano, Italy.